Just as Ben Jonson bore the unfortunate fate of living in what would become known as the “Age of Shakespeare,” Louis MacNeice lives in the long shadow thrown by his exact contemporary, W.H. Auden, who dominated his generation of poets and gave a name to the “Age of Anxiety” (Auden’s book of that title begat a symphony by Leonard Bernstein, secured a Pulitzer Prize for the recently naturalized poet, and was hailed by the New York Public Library as one of the most influential books of the last century). Together they suffered the temporary indignity of being joined as ingredients of “MacSpaunday,” the belittling coinage devised by critic Roy Campbell in his book Flowering Rifle. He amalgamated the names of the four Oxford “thirties poets” who were frequently, and unfairly, thought of as indistinguishable (anti-modernist in poetics, leftist in politics): Louis MacNeice (“Mac”), Stephen Spender (“sp”), W. H. Auden (“au-n”), and Cecil Day-Lewis (“day”). It has become increasingly clear in recent decades that MacNeice, once consigned to the lower three-quarters of this composite caricature, has much more to offer than those who comprise the bottom half. Spender will likely be remembered largely on the strength of his mid-life memoir World Within World, though he proved peerless when posing in the role of dapper English poet, whether taking tea at an English lawn party or more potent tipples at lunch with Jacqueline Kennedy Onassis (in some quarters, his fabulous lifestyle earned him the derisive label “toady,” and, a real stinger, the “Rupert Brooke of the Depression”). Cecil Day-Lewis is still thought of as a charming but not terribly important poet, remembered for his honest and ironic reworking of Christopher Marlowe’s “The Passionate Shepherd to His Love” (which most readers will recognize by its first line, “Come, live with me and be my love”) and his translations of Virgil’s Georgics and Aeneid. MacNeice is a separate case, and, while relegated to second place in the pantheon of English “thirties poets,” he is a much closer second than had earlier been imagined. In fact, it seems that if there is a chasm dividing the talents of his generation MacNeice stands on the same rim as Auden, waving to the remaining two across the way. Although his poetry gradually suffered as he took more assignments from the BBC-radio plays and other “hack work,” as he termed it, to keep body and soul together-he nonetheless assembled a remarkable oeuvre by the time of his death (his newest Collected runs to 800 pages). In 1963, he succumbed to viral pneumonia contracted while wandering the moors in a rainstorm after spelunking in a Yorkshire cave to gather sound effects for his last radio play, Persons from Porlock. His poetry is musical and humane, possessed of wit, flair, and exuberance. From his first published work Blind Fireworks (now considered juvenilia) in 1929 to the immediately posthumous Burning Perch in 1963 (published only days after his funeral) he brought out no fewer than fifteen volumes of poetry (if one includes Letters from Iceland, co-written with his coeval Auden). His book-length poem, Autumn Journal, is generally viewed as one of the great interwar English poems, presaging both fascist victory in Spain and German bombs raining on London. His short, singing lyric “The Sunlight on the Garden” is a startling, small masterpiece that encapsulates the alarm of a generation preparing for war while courting nostalgia as it bids farewell to peace and youth. 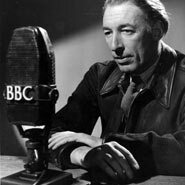 Born in Belfast, tutored at Marlborough and Merton College, Oxford, a resident of Birmingham and London, eventually a world traveler, MacNeice has always straddled the trenches that define English, Irish, and, of course, British poetry of the last century. This has only added to his appeal. A: I meet you in an evil time. Put out of our heads, I think, the thought of everything else. Saves from the mad vertigo of being what has been. This is simply stunning, by my lights, and unreservedly modern, in the best sense. When I went abroad to study at Oxford University for my master’s degree and doctorate in English Literature, I was lucky to work closely with Jon Stallworthy. He is perhaps best known in this country as one of the principal editors of the Norton Anthology of Poetry and author of the authoritative (and first comprehensive) biography of First World War poet Wilfred Owen. In Britain, he is also known as the author of numerous collections of poetry. In the mid-nineties, he published his second biography, on Louis MacNeice. The publication was attended by some ballyhoo. I remember strolling one misty evening through the streets of Oxford. I noticed large placards in a bookstore window announcing the book’s publication. Alongside a prominent, and quite striking, photograph of the poet were two lines from his haunting poem “Autobiography”: “When I was five the black dreams came; / Nothing after was quite the same.” I was gripped. I felt immediately at home. The Stallworthy biography was widely praised, and it helped to fetch MacNeice his rightful place in our accounts of modern poetry. I am happy to see that the amplification of MacNeice’s reputation and legacy continues apace.